Room 9 Super Stars! : Welcome to Term 4! 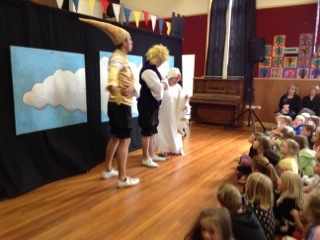 We have had a great first week back at school! It has been so great to see each other again after the two week break and hear about what everyone has been up to. 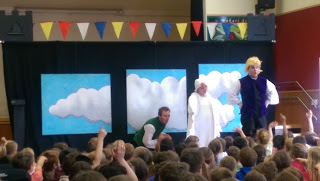 We were so lucky to have the Playhouse Theatre NZ group come on Wednesday afternoon and perform their show to us "Jack Flash and the Jumping Beanstalk". This show had an environmental theme and focused on "Reduce, Reuse and Recycle". This was great for us because our Topic this term is Sustainability. 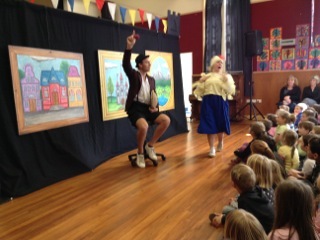 The show was sooooo funny!!! 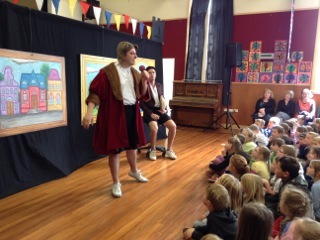 The actors sang a catchy song about the 3 R's - Reduce, Reuse and Recycle.